Some northern-bred roses are hardy to -40C (-40F), but most popular cultivars can be badly injured by temperatures below -23C (-10F). Choose varieties that are known to grow well in your area. Fertilise in spring by spreading a 1-inch (2.5 cm) layer of composted manure over the root zones of the plants. Feed plants again in early summer, just after the first big flush of blooms. A final feeding in late summer is needed in warmer areas where many roses rebloom heavily in the autumn. Aphids are common on new growth in spring, but numerous natural enemies usually control them. 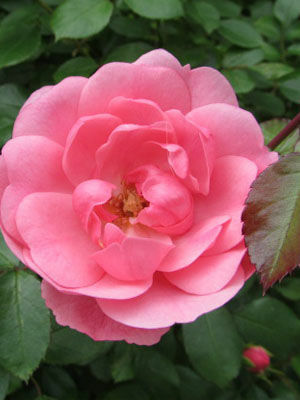 Rose black spot, powdery mildew, and other diseases can be serious, and are best prevented by growing resistant varieties.